Fancy staying in your own pad off a cliff 40 minutes from Lisbon? OUTPOST offers just that - a secluded hideaway with bespoke minimalist details in a Mediterranean setting. The complex was built in the 1940s by architect Raul Lino and was renovated recently with modern living and leisure in mind. Relax poolside on hot and balmy days, play tennis or padel at the property’s private court with friends and family and enjoy summer evenings in the garden with a BBQ. These communal spaces allow for creating unforgettable memories in this delightful remote side of Portugal. 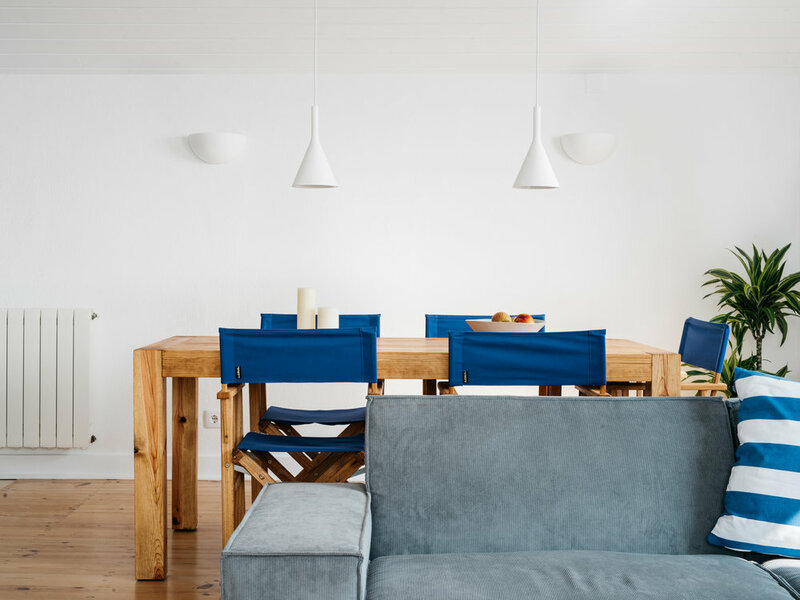 Comfort, style and eco-living are carefully considered at this chic holiday rental. Beds, mattresses, bed linen and pillows have been handmade by Coco-Mat in Greece, with natural materials including cotton, wool, seaweed and wood. This is equally complemented with the organic toiletries by local brand Oliofora. Each apartment has its own character, with the East Duplex for example split across two floors with free-standing stairs and embodying a rustic chic contemporary style. The Ocean Saloon oozes grace and has pops of colours punctuating the open glass door and leafy apartment. The piece-de-resistance is most definitely the ocean view you have from several points in the 98m2 apartment. Or you can sway side-to-side in the hammock on the private terrace of petite condo North Casita. It has enough space to accommodate up to 3 people and is adorned with special touches such as the wooden furniture made by local artisan Glen Samuel Friedman. Guests can rise and shine with a cute breakfast basket each morning filled with an array of delicious produce to start the day. 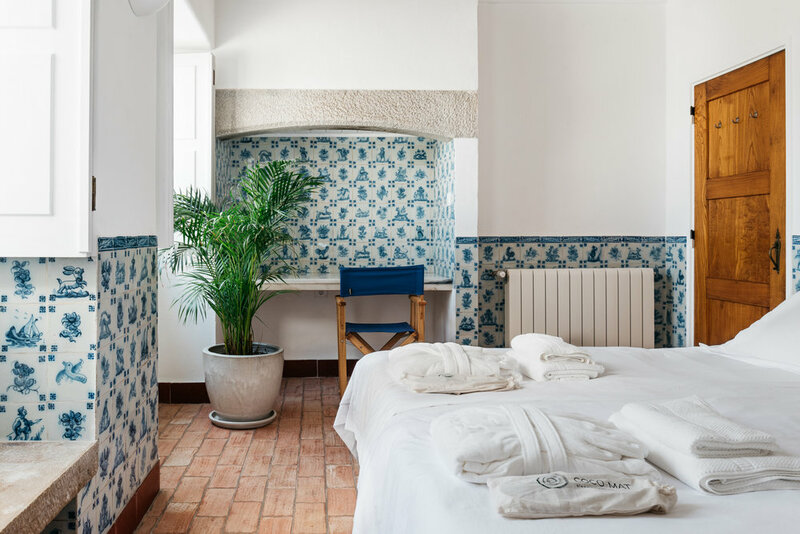 Kitchens come equipped with the essentials making it easy to rustle up dishes but OUTPOST can also order food in for guests and there is a local restaurant nearby for delicious Portuguese cuisine. Head to the idyllic white town, spend the day at the beach or go surfing, as there are several spots in the area to enjoy the waves. In any case, a blissful stay is guaranteed.